Each one of our hotel rooms is intended to be a little paradise of its own. Our 73 rooms and suites combine the classic tried-and-tested local architecture with contemporary comfort. Taking advantage of the locally sourced pine wood, we rely on exquisite material when it comes to our furniture. 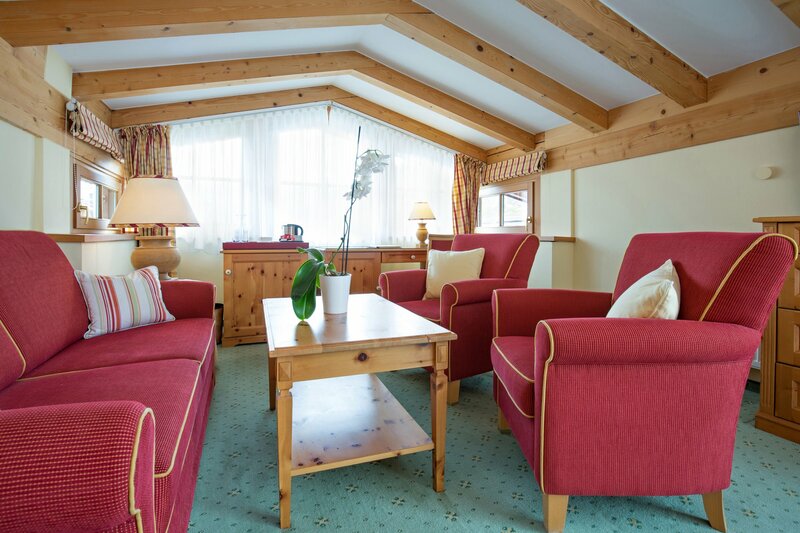 This makes any stay at one of our rooms like a relaxing stroll through an Alpine forest. Even more crucial for a soothing and replenishing night of sleep are our high-quality mattresses. The cosy bedding will make for an imperially good night. Of course, we also provide rooms specifically tailored to the needs of those suffering from allergies. 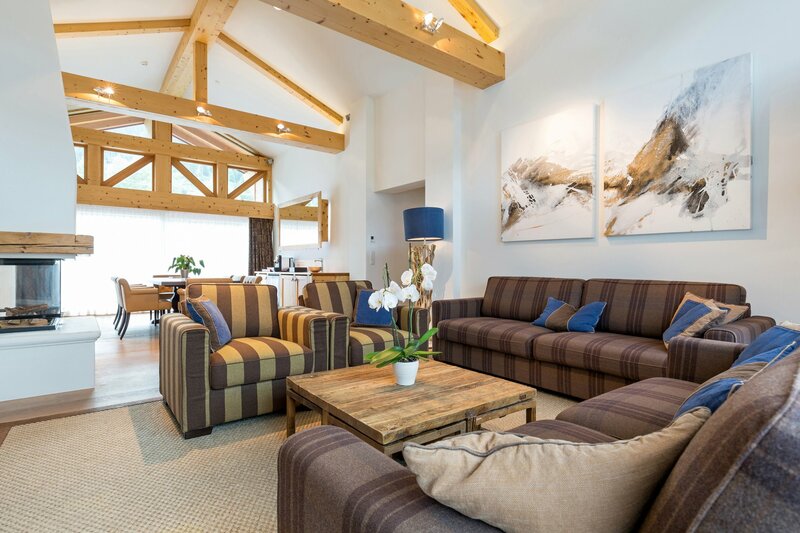 From cosy rooms tucked away in quiet attic corners to spacious suites with sweeping mountain views. Already upon entering this welcoming place you will feel comfortable with this extraordinary composition of tradition and modernity. 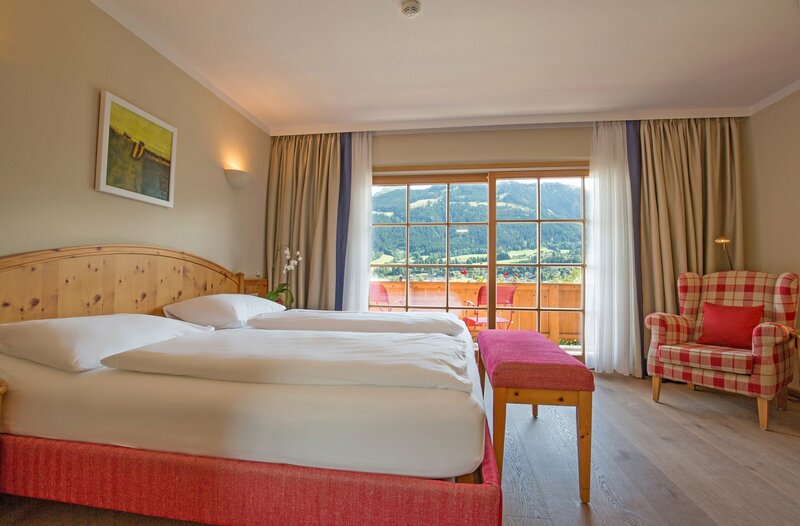 All the freshly renovated rooms & suites are furnished with high-quality Swiss stone pine and Tyrolean country house style. Minibars where non-alcoholic drinks are freebie, and a modern infotainment system on the flat screen TVs (international TV channels, Internet on TV) are the last improvements. All guests are entitled to complimentary high speed internet access in the whole hotel area and in all the rooms. And not to forget windows in all the rooms that open for fresh mountain air! Children up to the age of 2 years do not pay any surcharge. Children between 3 and 5 years get a reduction of 80%, children between 6 and 14 years get a reduction of 60% and all additional persons above 15 years get a reduction of 30% of the room rate. Reductions based on two full paying guests - therefore valid for the third person in room. 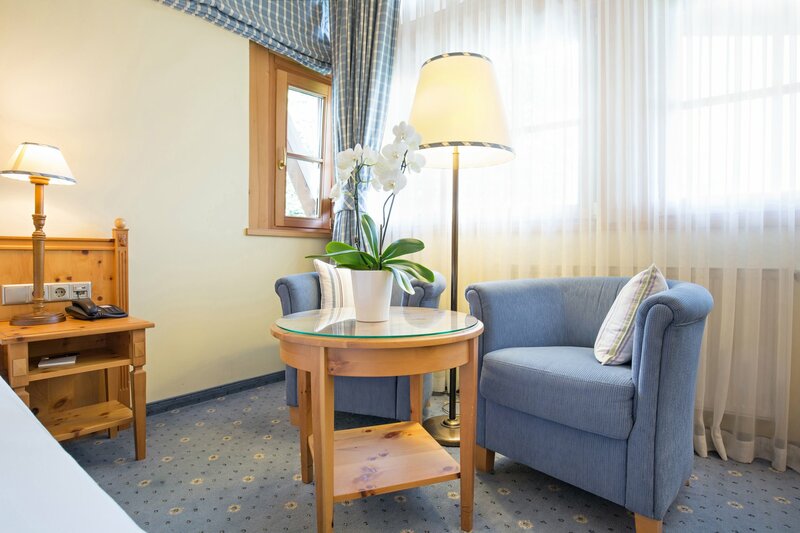 At the Kaiserhof Kitzbühel we recognize that your pet is a member of your family. We are pleased to welcome pets to our accommodations. For your welcomed pet we charge a daily fee of € 22,- without feed. In the whole building exquisit Swiss Pine Wood was used to furnish the hotel. We would kindly like to give you some facts about this great wood. Swiss stone pine has been used to furnish rooms in Alpine regions for centuries. Residents have always maintained that this has a positive effect upon the body, researchers found out that there are a number of positive effects.